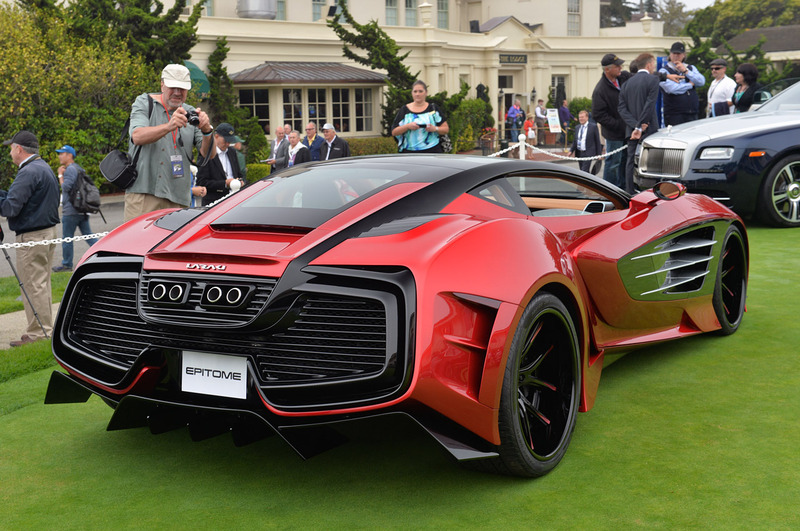 1,750 bhp Laraki Motors Epitome Concept Arrives at Pebble Beach! 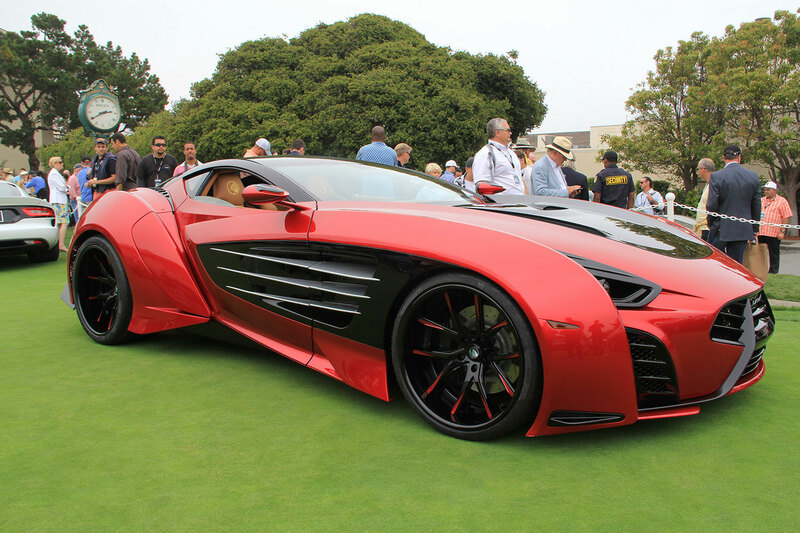 Laraki Motors launched its stunning Epitome concept at the Pebble Beach last weekend. The super and spectacular car is meant to enter in the limited production phase too. 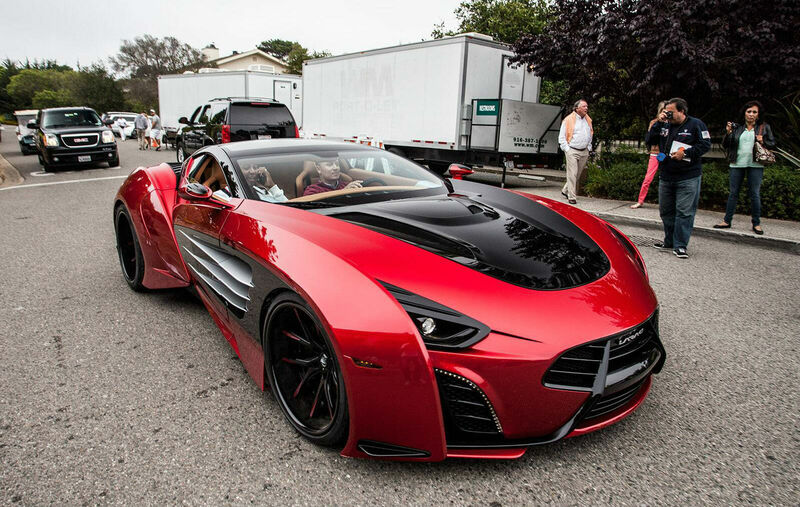 This car is said to be using Chevrolet Corvette C6 chassis, but has obtained carbon fiber body panels that have lowered its curb weight to about 2,800 pounds, equivalent to 1,270 kilograms. The Epitome Concept is also powered with a Chevy V8 7.0-litre engine and fitted with two turbochargers with new internals. The internals are fully fit for a striking output of 1,200 bhp on pump gas. 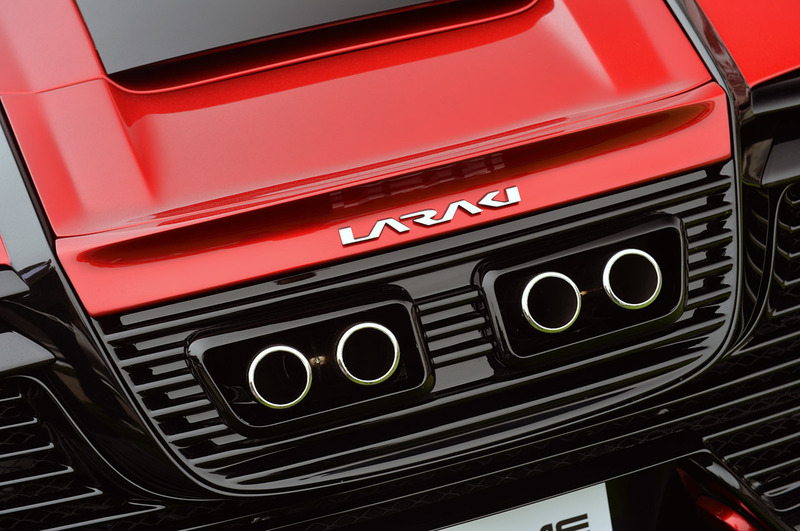 The Laraki Motors Epitom is an artwork that triggers many emotional and sensory connections. Each detail; the bold doors, side mirrors, air ducts, sleek hood and many other components have been hand crafted using great attention and care to optimize both the moxie and aesthetics. 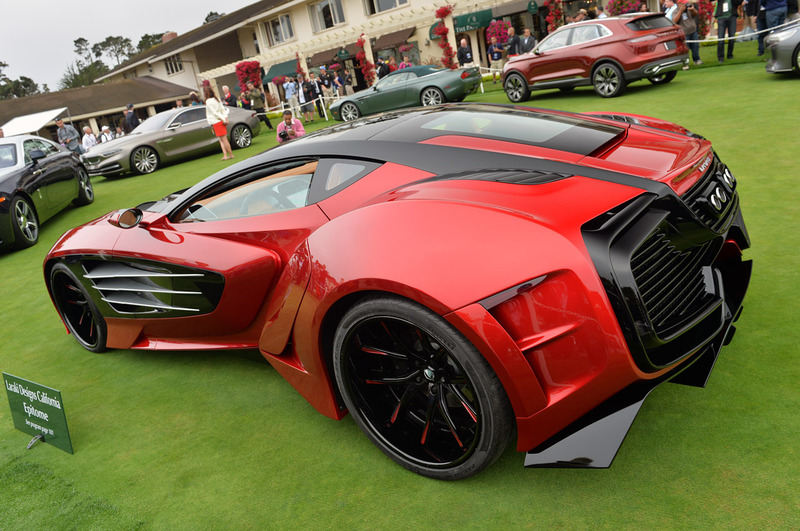 Making its world debut at the Pebble Beach Concours of Elegance, only about nine models are unveiled to the world to appreciate and for selected owners to enjoy. Check out more about the Laraki future concept on this link! The Laraki Motors car has an extra tank, besides the regular one. The extra tank can accommodate 110-octane fuel and when you press a button, the vehicle will remap the ECU automatically and will then be able to perform on both types of fuel. The output in this case, rises to a stupefying 1,750 bhp, which to be honest is very hard to believe, most especially when it`s coming from a mysterious manufacturer. 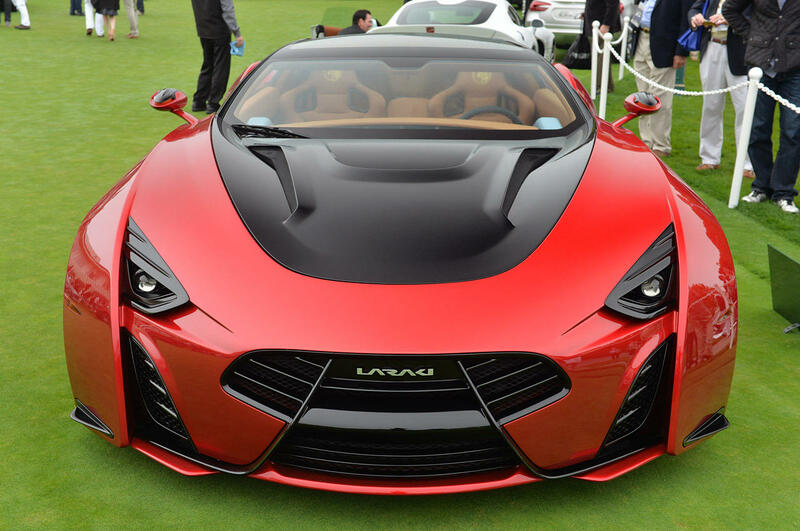 If you are interested in this car, Laraki Motors will have you covered. The company is making plans on making a few units of the Epitome. Each of them is going to tag a price of 2m US Dollars. You can get more photos at the source link- autos.yahoo.com. Comments According to top comments, most people say that it is a total stunner. They also say that its one of the best looking concept they have seen in the past years, though the price is way too high. 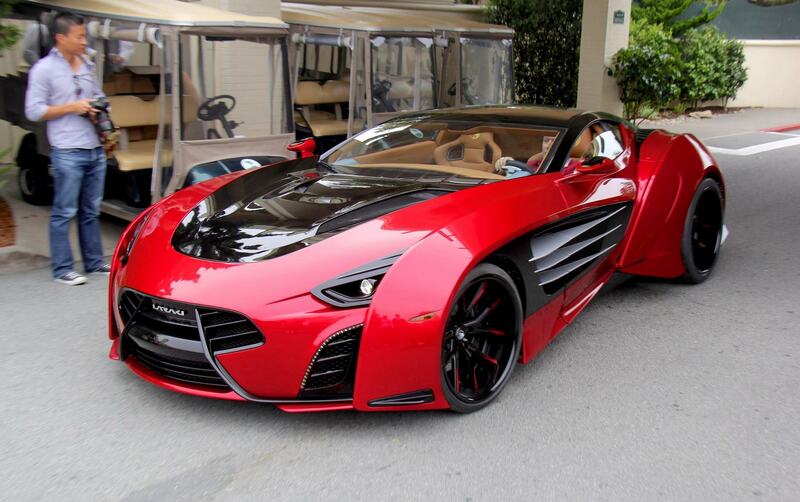 The price is said to be rather ridiculous for a Vette`s chassis and engine, despite its engine specs and looks. In addition to the comment, the car does not have a functional design and the rear grill does not help that much. Others say that when you first look at the car, you will find it good and cool looking. The rear is also quite okay, but some details are said to be a bit overdone. Some people feel that what was meant to be super-dooper power houses is a let-down and therefore prefer to have a straight-6 priced in the 40s or 50s. The downright word here is: not interesting. According to a different opinion, one of the reviews says that the vehicle is frustrating and not good looking. He continues to say that the car is woefully impractical, aside from the fact that some car compromise looks for effective performance design. He also says that he doesn`t find the car interesting or worth the price of 2M, with its low roof and high body line. Comparing the Epitome with the fully-engineered and gorgeous Parcour SUV concept unveiled at a cheaper price, he finds the price together with lacking details as a bad joke too. What about the aerodynamics? 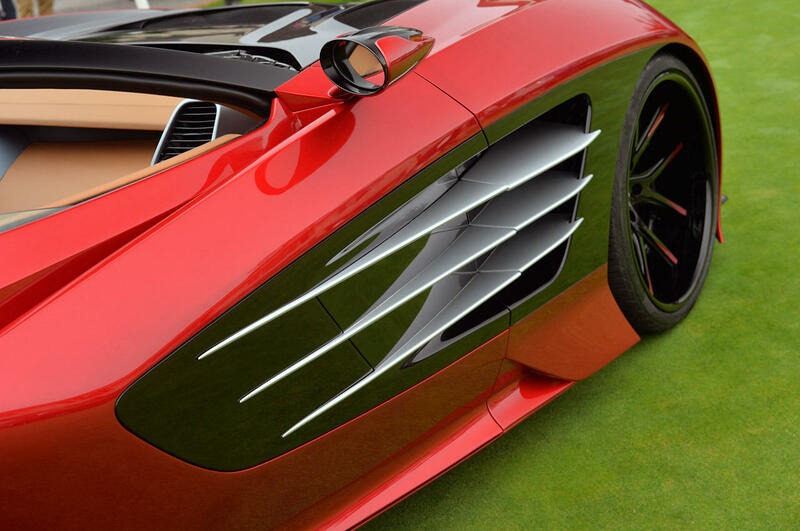 Many are of the opinion that the car is not shaped for high speeds, be it curves or straight lines. Additionally, some figures would be of much help in understanding its real use instead of being a gum burner. 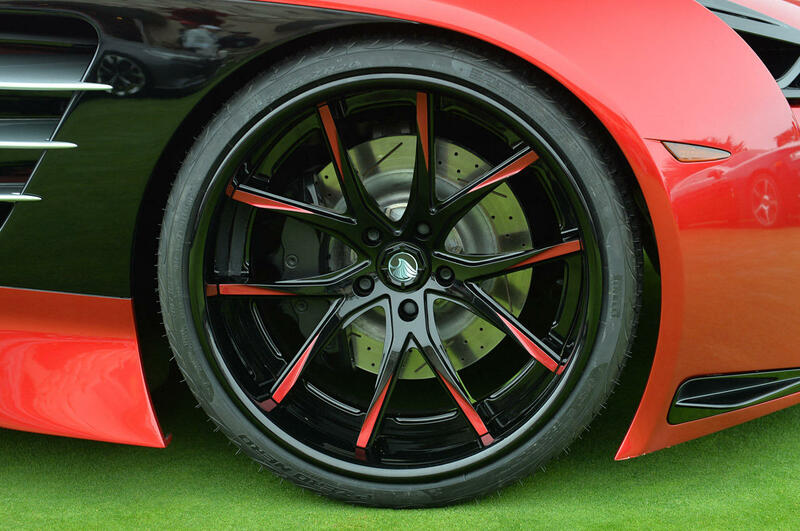 They feel that the Epitome is evidently a vanity project meant to re-skin a C6 Chevrolet Corvette with pretend and carbon-fiber turbochargers. Such negative reactions but as you well know, people have different opinions with different tastes so it should never discourage you before you view the car yourself. The best idea would be to check out the vehicle yourself and make your conclusions. They may not be that interesting, but the fact is, you wouldn`t miss any good detail on the car. Either, you may find the color interesting, the engine to be fully-powered or you may find the turbochargers worth it. You may also find it muscular and aggressive to your liking. Whatever it is, it is good if you made some time and checked it out yourself.